What's with all the red noses? What exactly is Red Nose Day? It's a campaign to "make a difference for kids in need" done with humor, comedy and fun. It's represented by wearing a big red clown nose, kind of a fun and playful version of the standard colored ribbon for other charities. 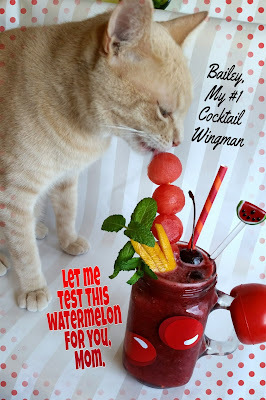 You might be asking what cocktails have to do with it, and that's a good question. Nothing. But not all beverages have to have alcohol in them and virgin cocktails, or mocktails if you prefer, are fun too. Especially for kids, because kids always want to rush to adulthood. When I was out to dinner with my parents I loved it when I got a Shirley Temple. Mom and dad would order that for me and a Roy Rogers for my brother when they ordered their Bourbon and Sevens and we loved them, those simple soda and Maraschino cherry drinks made us feel like grownups. I love the idea and playfulness of the red nose to represent a charity for children, it's whimsical, funny and cheerful. 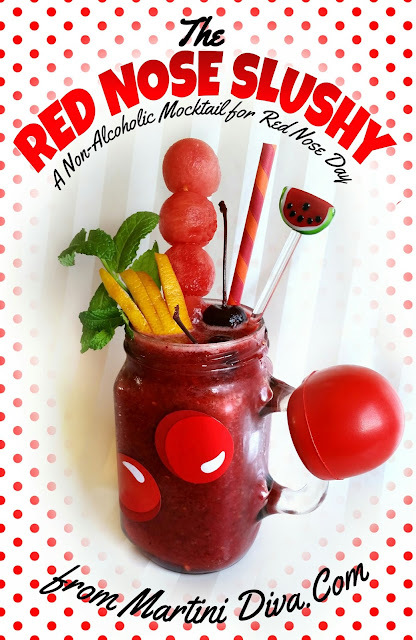 I wanted to create a healthy, red drink for kids that incorporated that symbol and those qualities. It's for adults too, come on you don't always have to have booze to have fun! Garnish: MUST have a Red Nose from Walgreens the kids (and adults) can wear! 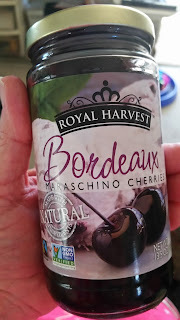 Plus; Watermelon balls (to mimic the red nose), A Lemon Twist, A Sprig of Fresh Mint, Tons of Bordeaux Maraschino Cherries, because that's the best part of the drink where kids are concerned! 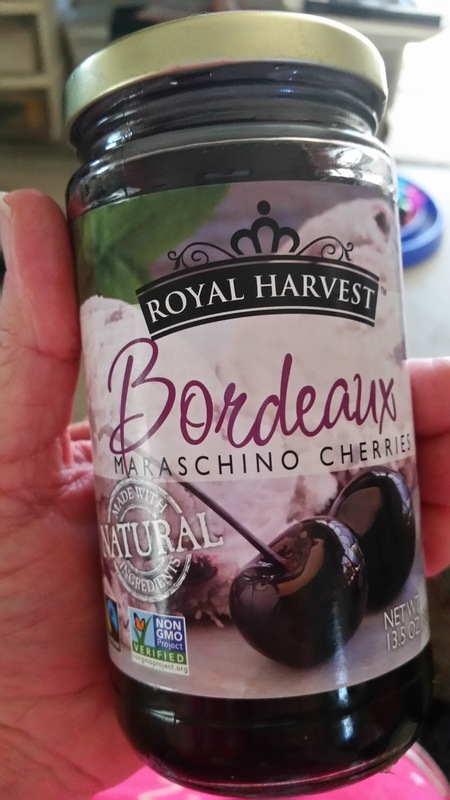 And Bordeaux Cherries aren't filled with food coloring and chemicals. Tools: Blender, Red Straws, Cute Cocktail Swizzle Stick. Glass: Mason Jar Mug with Red Nose Day stickers. Ask for these stickers at Walgreens when you get your red noses, they're free! DIRECTIONS: Chill glass in the freezer. Add all the ingredients to your blender and pulse on high until the ice is completely blended and you have reached slushy consistency. Pour into your chilled glass, add the straw and swizzle stick then garnish and serve. Be sure to tweet this and use the hashtags #RedNoseDay #RedNose4Kids AND ESPECIALLY #RedNose25 because the Gates Foundation will donate $25 for each tweet to the Red Nose Day Fund up to 1 million dollars! 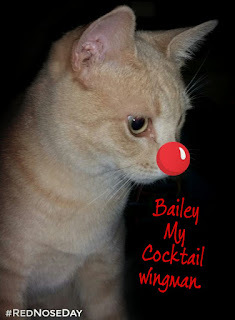 PLUS you should really Get Your Red Nose On too over at NBC! Bailey did!